Are you paying monthly charges for your 203k write ups and worse yet do you have to be on line to write a report? Why would you want to put up with that? We have no monthly or "by the write up charges" you write as many projects up as you want to without and additional fees. Why would you want to pay a "per use" charge for your software? Why would you want to be on line whenever you want to write a report? Every version of our software is still in use today. When you take our training you don't pay to talk to us. The answer is you wouldn't - we need to talk 916-758-1809. Do It Yourself Project Cost Estimator to get accurate bids on your renovation projects. You can also get that for your website from HomeTech Residential Cost Guide which is the HUD recommended Cost Source for 203k consultants and the 203k. In fact when you purchase any products from HomeTech Publishing use our discount code "MYTEAM" and save money. Price out your next project with the estimator and see just how easy it is to use. This is a lead generator for you and your lenders. Every consultant and 203k lender should have this on their website. How do I become an approved 203k consultant for FHA? Even with drive and determination, becoming an approved 203k consultant can be tough. Not only do you need to have extensive knowledge of construction and home inspection processes, you need to know the ins and outs of conducting a proper consultation. Our software is designed to help you understand everything there is to know about being an approved 203k consultant and can help you boost your existing business. Click here to learn more about our award winning 203k software and training. Our award-winning 203k loan program was voted the most complete 203k package presented to mortgage bankers associations all over the country. How are we different? There are no monthly fees, no membership fees, no per use charges, and no annual payment for using our software. With our unique 203k software you can use as many categories per page as you like, contrary to competing software that typically require up to three. This cuts your time commitment in half and makes project management as simple and efficient as possible. Our 203k consultant training is the best out there and covers all aspects of the 203k, from the consulting to the marketing and everything in between. Using our software, you can find a lender and contractor with ease and create your own bid specifications that your contractor will need to complete the bid process. Furthermore, many of our attendees have been approved by the U.S. Department of Housing and Urban Development (HUD) within as early as 3 or 4 days after they submitted their application. Give us a call at 916.758.1809 and we can walk you through the process with ease. We will help you find a lender and contractor; as well as create the bid specifications that your contractor will need to complete the bid process. Afterwards, we will provide all of the contracts and paperwork that your lender requires and ensure that everything is ready for underwriting and submission. For more information, take a look at our services page. If you are in need of 203k consultation services then you’ve come to the right place! Our experts can meet you at your site and provide a number of services including 203k consultations, 203k feasibility analyses, draw inspections, health and safety inspections and occupancy inspections. We also offer on-the-job training for consultants and those interested in becoming a consultant for the 203k loan program. Getting approved is a great feeling, but even more important than approval is the knowledge that you possess and how you use it. Our services help you utilize what you know to its fullest potential using step-by-step instruction and ensure that you grow into the consultant that is desired in the field. 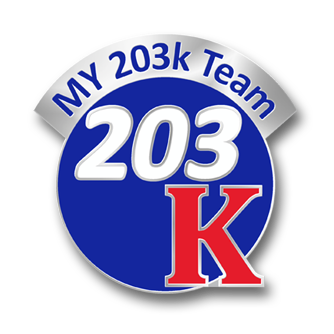 Click here for information on how to become a 203k consultant. Please feel free to contact us at 877-207-6565 with any questions and we will be happy to offer assistance in any way that you need. If you would like to join our team, we will work with you to get your business to where you want it to be. NEW - What if I'm a borrower who is thinking about getting a 203k loan? If you’re a borrower looking to get a 203k loan but have lots of questions or concerns you can call in on our Radio Show every Sunday 1-2 pm PST. STOP ! - New fixer loan that goes up to $3 Million in loan amount. If your new home is $850-1.5, Million example not a problem even if it needs $300,000 in work as long as it will appraise for the combination of the purchase price plus the renovation cost.